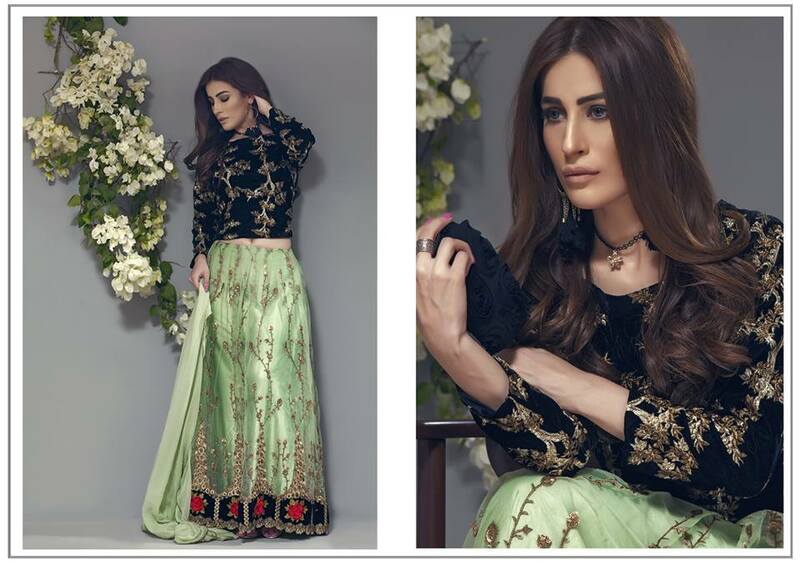 Zainab Hasan started her career in fashion field before few years and in no time she became a limelight of Pakistan’s fashion industry due to her rich and glamorous collections. 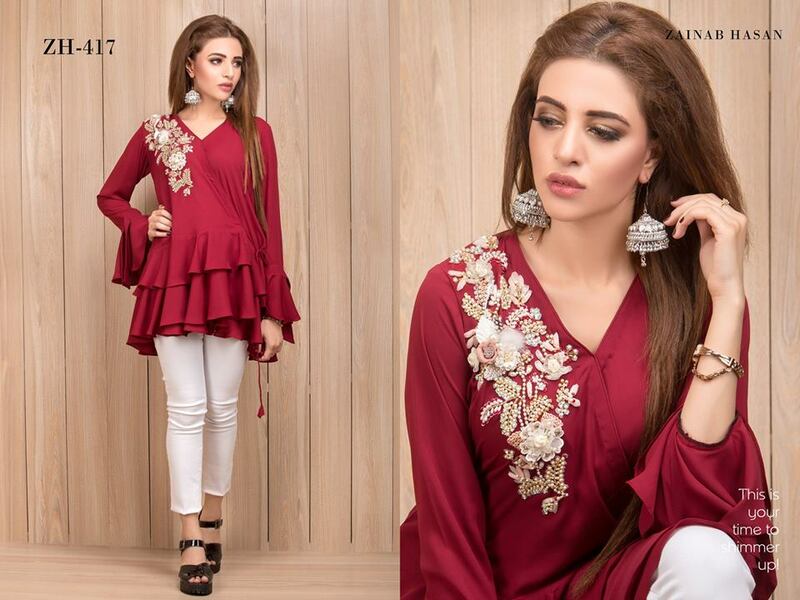 You can’t imagine that within this year of 2018 Zainab Hasan’s boutique has crossed milestones of success due to exquisite and phenomenal fashion sense. Till yet this amazing fashion designer has launched her many collections in the season of summer showing various lawn pret, luxury ready to wear formals, royal pret dresses and right now a very brilliantly developed stunning eastern pret clothes for festival activities like eid wear. Zainab Hasan is a dynamic dress designer due to her makeover of traditional dresses that has completely changed the look. In this Latest Fancy Embroidered Frocks Gowns Designs, 2018-2019 Collection The designer has brought a feminine, edgy designs with chic embroidery embellishments and titled as “Chantilly de lace”. The fabrics used mainly is brocade, jacquard, chiffon, and silk adorned with embellishments that have put awe-inspiring beauty. The middle length shirts in this collection are paired with cigarette pants or pencil pants, straight trousers & jacket suits are paired up with capes and straight pants. Furthermore, the use of colors is fabulous that reflects her aesthetic knowledge. Color like black, red, magenta, white, blue, shades of pink, violet, skin, yellow, mustard, sea green and many more look very stunning among these dresses. Every single masterpiece shows the effort of the designer to make it worth grabbing style. 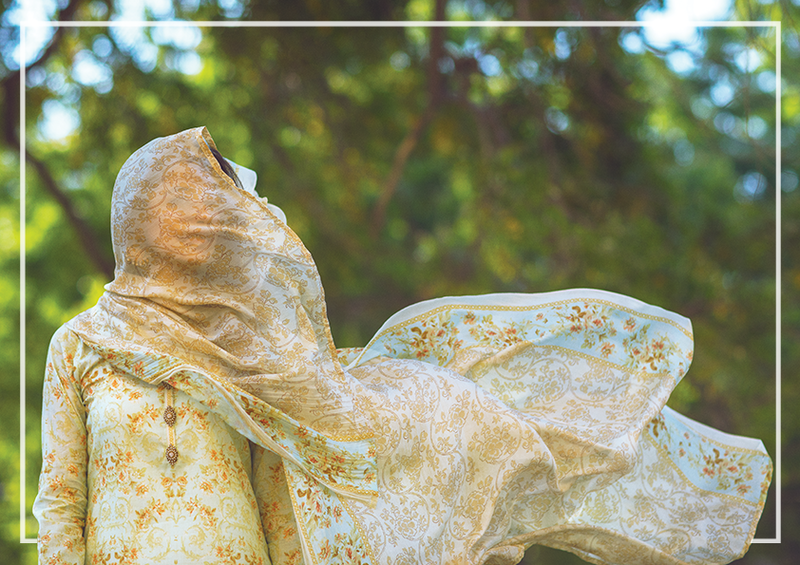 To add freshness and liveliness, Zainab has picked floral embroideries and Chantilly de lace in her collection that seems like a simple but a wise idea indeed. 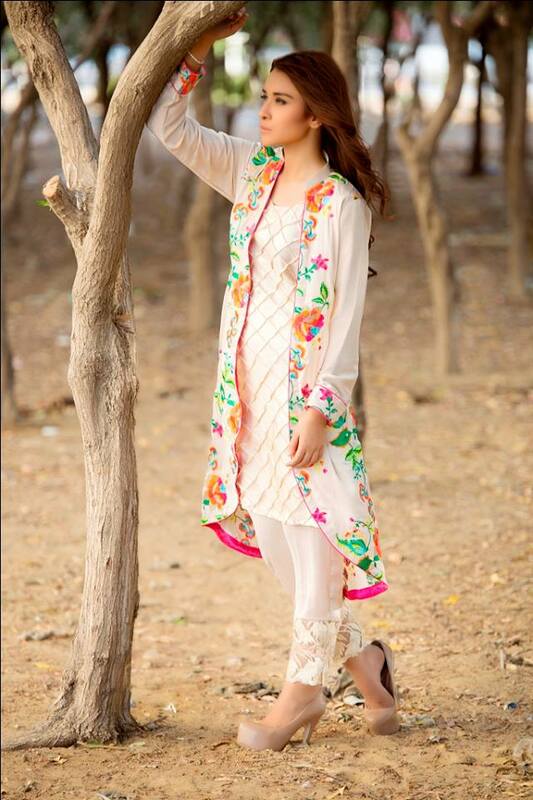 Moreover, these fully adorned summer Eid outfits will bring you into the spotlight without heavy efforts. 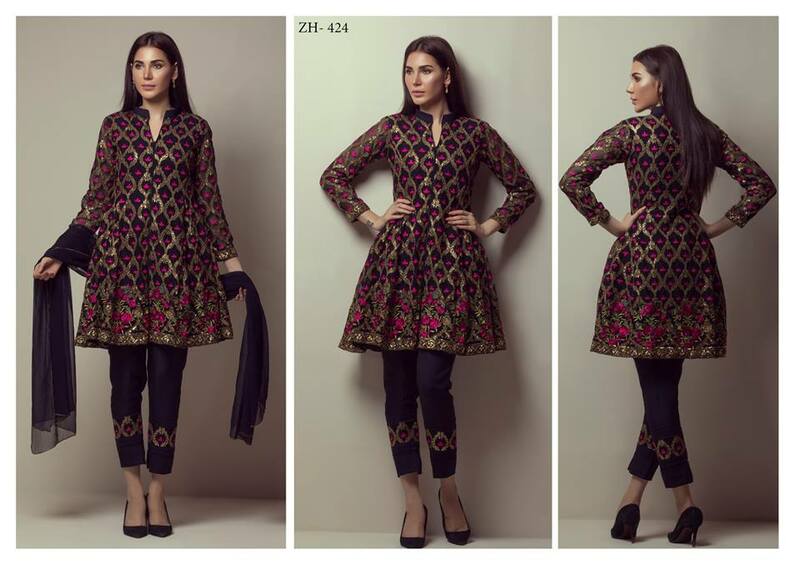 This collection is available at all well-known outlets of the country in various cities. The prices of these dresses are not so high or less but very reasonable according to the designing and quality of dresses. 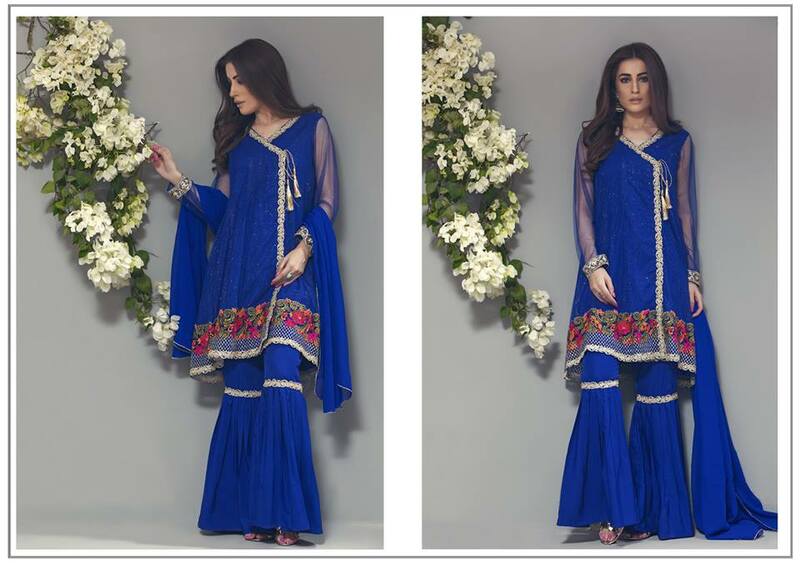 These dresses having flawless qualities and unseen designs are very versatile and perfect eid wear. So make your happy occasion more beautiful by looking gorgeous as it gives the feeling of happiness. 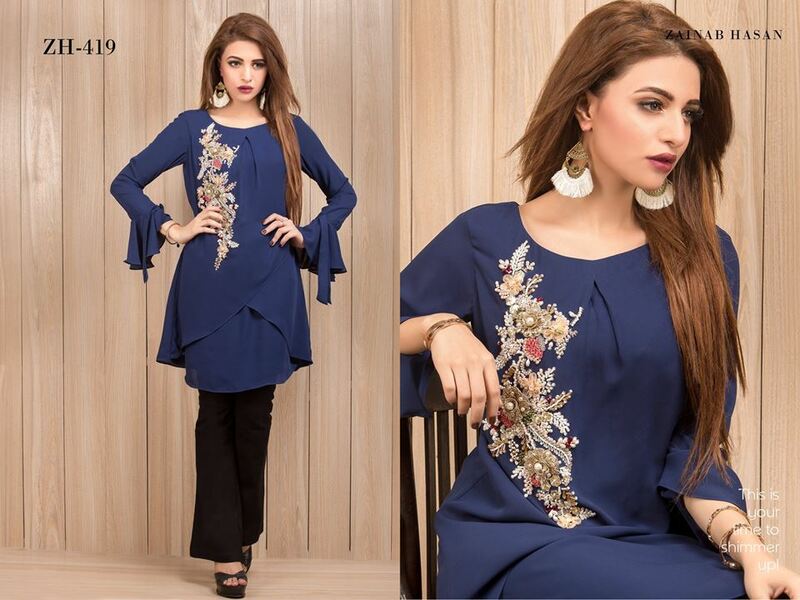 Here below, I am posting pictures of the dresses from its latest assortment, and I know you will like all of these heart throbbing designs very much. Have a look at the image gallery posted below and get inspired by the latest designs!